Osaka’s metro network has shut down its foreign language sites after users noticed some odd translations. Among the errors on its English page was the literal translation of Sakaisuji line as “Sakai muscle”. The biggest practical issues concern health, says A.K. Rahim, a linguistics researcher working with Translators without Borders (TWB), a group that helps humanitarian agencies. In Chittagonian, health terms come from Bengali and English; scientific knowledge and vocabulary have trickled down from educated elites. But among the relatively few educated Rohingyas, health terms come from Burmese. Most—especially women, who tend to be cut off from the outside world and denied education—have not been touched by that learning. Instead they have developed their own lexicon. They avoid haiz (menstruation) and say gusol (shower). Diarrhoea, a common camp ailment, was routinely misdiagnosed in the first few months. Many Rohingyas reported, “My body is falling apart” (“Gaa-lamani biaram”), baffling health-care workers. IATE, the EU’s interinstitutional terminology database was developed in the early 2000s. Despite its continuous development and maintenance ever since, due to technological evolution and changes in institutional terminology work, the need for a new, upgraded IATE has become clear. The development of IATE 2 started in 2016 and a brand-new version of IATE has been launched on Monday 12 November 2018. With 50 million queries per year, it is a highly popular tool for anyone looking for accurate terminology. It contains over 8 million terms in the 24 official EU languages and in a wide variety of subject areas. The Belgian Chamber of Translators and Interpreters (CBTI-BKVT) published a market survey report for 2018 on translation and interpreting in Belgium. You can find the full report here. It includes some interesting data on translator and interpreter clients, rates and income, specialization and diversification, tech used, and more. If you are a translator or interpreter in Belgium, does the information in the report coincide with your own experience? If you are not in Belgium, does anything in the report compare or contrast interestingly to the market in your area? There were some great candidates as well in the interpreting-related categories for this year’s ProZ.com community choice awards. Congratulations to the winners, and thank you to everyone who participated! Blog: Best overall blog related to interpreting. Blog post: For a single blog post, as opposed to the “blog” category, which is based on a blog as a whole. Website: Best overall professional interpreter’s website. ​Twitter: Best overall Twitter account. Facebook page/group: Best overall Facebook page or group. Podcast: Best podcast (series or single podcast). Blog: Best overall blog related to translation. Website: Best overall professional translator’s website. Twitter: Best overall Twitter account. Trainer: Active trainer in in-person or online training. Article: Best article published (online or in print form). Book: Best book published (print or digital format). May include re-releases or new editions. ProZ.com profile: Most professional/attractive ProZ.com profile. Most helpful contributor: All-around contributions, be they in forums, in term help, on social media, etc. What is the best age to learn a language? When it comes to learning a foreign language, we tend to think that children are the most adept. But that may not be the case – and there are added benefits to starting as an adult. “Not everything goes downhill with age,” says Antonella Sorace, a professor of developmental linguistics and director of the Bilingualism Matters Centre at the University of Edinburgh. A study by researchers in Israel found, for example, that adults were better at grasping an artificial language rule and applying it to new words in a lab setting. The scientists compared three separate groups: 8-year-olds, 12-year-olds, and young adults. The adults scored higher than both younger groups, and the 12-year-olds also did better than the younger children. This chimed with the results of a long-term study of almost 2,000 Catalan-Spanish bilingual learners of English: the late starters acquired the new language faster than the younger starters. Textualism, intentionalism, and purposivism are not the only interpretation theories out there, but they are arguably the most prominent. Applied to translation, textualism is analogous to asking ourselves what a competent source language speaker would understand if aware of the fact that the text at hand is a legal text. Intentionalism is analogous to asking ourselves what the drafter of the source text subjectively intended to convey. And purposivism is analogous to asking ourselves what the reasonable objective meaning of the source text is, even if that means digressing from the plain meaning of the text. None of these involve literality, yet applied methodologically to translation, all can result in high degrees of fidelity to source and, more importantly, help translators construct objective criteria when interpreting a text. However, unlike judges, translators don’t always have access to sufficient background information to identify the intention of the drafter, be it subjective or objective. And, unlike the drafter, translators don’t have the power to decide whether the target text should be written in plain language or not. That is, of course, up to the drafter or client. What translators can do, instead, is adopt a more methodological approach to interpretation—one that, to some extent, emulates how judges approach legal texts and helps unravel the meaning that needs to be captured from the source text and conveyed in the target text. That, however, involves being able to extract the plain meaning of a text, which in turn, also involves understanding what plain language is and how it can be helpful. Singapore is an immigrant country with four official languages: English, Malay, Tamil, and Mandarin. Officially, English is the most commonly spoken language in Singaporean homes, having recently and just barely edged out Mandarin. Unofficially? That’s completely wrong. Because what’s likely the actual most common language spoken does not appear on the census. That language is called Singlish. Singlish is spoken across all ethnic groups in Singapore, even across economic strata. But the government hates it. Since the year 2000, the Singaporean government has been conducting a campaign called the “Speak Good English Movement,” which is specifically designed to discourage the use of Singlish and encourage the use of standard English. Here’s one of a series of video clips from this “Speak Good English Movement”: https://www.youtube.com/watch?v=-l3nHHBJDAU . Tell me if you wouldn’t love to go out to lunch with that guy. As we spoke, it soon became clear that Túpac Yupanqui’s mission was, if anything, even bolder and slightly more harebrained—dare I say quixotic?—than the one I had come to interview him about. His translation of Don Quixote was simply the best-known example of his decades-long effort to create a standardized literary Quechua and leave millions of Peruvian schoolchildren with an alternative to what he calls the “language of the invader.” That Spanish has been the definitive language of Peruvian law and literature since the mid-sixteenth century didn’t seem to strike him as a particularly onerous obstacle. Imagine you’re driving in a foreign country and a police officer stops you on the road. You don’t speak the cop’s language and they don’t speak yours, so a halting exchange ensues using a laptop and Google Translate. You’re not always sure what the officer is asking, and you end up agreeing to something you didn’t quite understand, and are arrested. That’s what happened to Omar Cruz-Zamora, a Mexican native in the US on a legal visa, in Kansas last September. Based on a typed exchange using Google Translate, he agreed to let police search his car—he wasn’t legally required to—and was arrested for possession of 14 pounds of cocaine and methamphetamines. On June 4, a Kansas court granted Cruz-Zamora’s motion to suppress the evidence, finding Google Translate isn’t good enough for constitutional search purposes. NPR has been celebrating National Poetry Month in the US on Twitter, using the hashtag #NPRPoetry. A recent post posed the question of whether poetry can be translated or if “Poetry is what gets lost in translation.” Poet and translator Aaron Coleman translates one of the poetry submissions and discusses his method. “I approach translation even knowing that it can’t quite be what it is in the original language,” he says. Instead, translation can be transformation. “I think we all want to have translation work as a process of reproduction, but it’s really a process of transformation,” Coleman says. 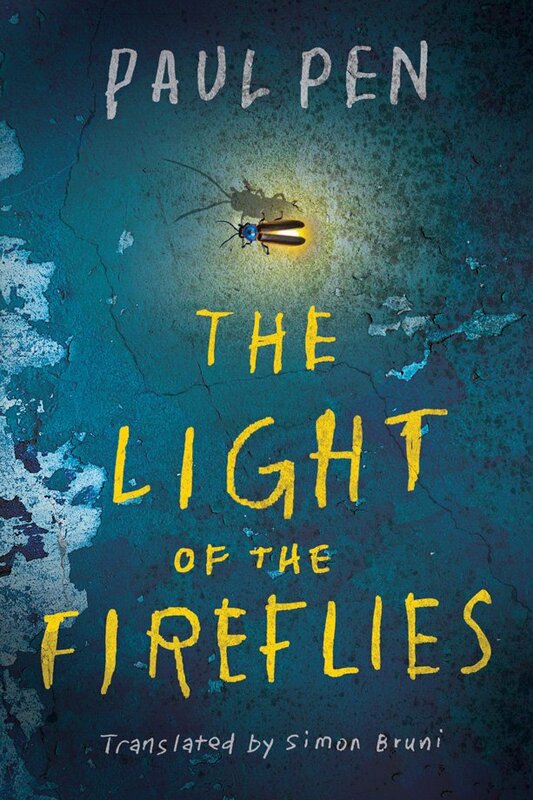 Among the books, I spotted The Light of the Fireflies, by Paul Pen and translated by ProZ.com member Simon Bruni. One Hour Translation, the world’s leading hybrid translation agency and largest online translation agency, announced that Amazon has selected it as a key partner to deliver Neural Machine Translation (NMT) based solutions to enterprise customers. NMT is a revolutionary technology allowing computers to perform human-like translations that make sense. One Hour Translation combines Neural Machine Translation (NMT) technology with human post-editing and quality control, delivering high-quality human level translation, that costs much less and is done much faster than the human only alternative. OHT is already using the Amazon NMT engine to improve the translation efficiency of enterprise customers such as iHerb, a world leader in food supplements, and other customers. OHT allows business customers to fully leverage and benefit from the powerful NMT technology. OHT’s software is connected to all the top NMT engines, and adds a multi-step, streamlined process, before and after the NMT stage itself in order to provide business customers with a complete end-to-end solution. Using One Hour Translation, business customers can send up to hundreds of thousands of projects in parallel for translation. The OHT hybrid system will select, on the fly, the most appropriate NMT engine, as well as the required pre-processing, post-editing, and quality control measures needed in order to deliver high-quality translation to business customers. “Hybrid NMT based systems are the future of professional translation services,” says Ofer Shoshan, founder & CEO of One Hour Translation. “OHT’s hybrid translation system allows our top customers to receive high quality translations at a fraction of the cost and time of human only translation. We see growing interest from customers in hybrid translations and we have enterprise customers who are already using it,” added Shoshan. “We believe in NMT and will announce new NMT related products and services in the next few weeks,” he concluded. Just as services like Google Maps have made it easier to get around, at home or abroad, some advances in translation tech are making it easier to travel in places where one may not know the language. Right now this translation tech is still in its infancy and primarily eases logistical complexities. With Google Translate, you can point your camera at a street sign to verify it says “Downtown This Way” and not “There Be Dragons.” The same app can quickly translate a menu—if not always perfectly, then well enough to be sure that you’re ordering chicken. The article goes on to consider how far this technology might improve, up to a future where we’re all wearing earpieces and hearing or being simultaneously interpreted for in our conversations. Sound familiar? What do you think? Will this eventually be a practical possibility? Microsoft Translator has been upgraded to offer artificial intelligence (AI) powered offline language packs across all Android, iOS, and Amazon Fire devices. The AI-powered offline language packs were previously limited to devices with a dedicated AI chip. However, Microsoft engineers have now leveraged edge computing to bring AI-backed neural machine translation (NMT) to the masses. The Translator team is also in plans to bring the new experience to Windows devices in the coming future. The Redmond company in 2016 built its NMT model for online use only as it required high-quality translation models. But in 2017, the experience debuted on select Android devices that are equipped with a dedicated AI chip. It brought offline translation quality in line with the quality offered by the original online neural translation model. And now, the Translator team has optimised the initial offline-specific algorithms to bring language packs irrespective of any particular hardware. Artificial Intelligence is not quite ready to take jobs from capable human interpreters/translators. 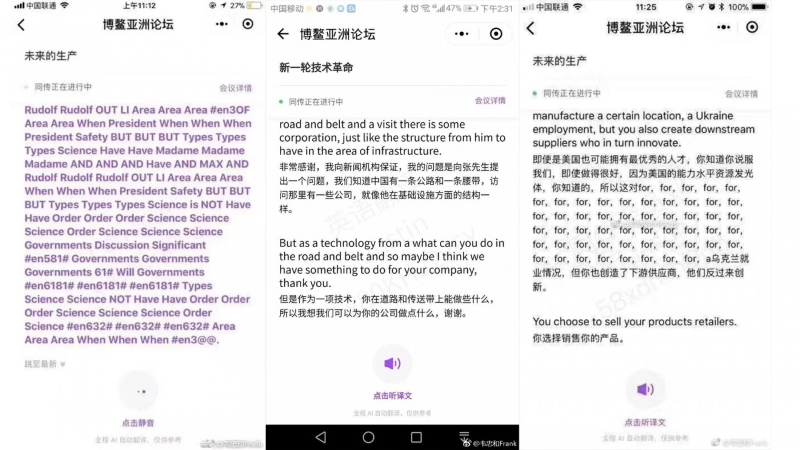 At the recent Boao Forum for Asia, one company debuted an AI system designed to provide interpreting and transcripts, only to have the system produce a mix of mistranslations, repeated words and garbled characters in the live demonstration. The makers of the software admitted to the mistakes, pointing out that the AI “is still learning and growing” and would continue to improve over time. I read the daily digest of ProZ.com translation news to get the essential part of what happens out there! I receive the daily digest, some interesting and many times useful articles! The translation news daily digest is my daily 'signal' to stop work and find out what's going on in the world of translation before heading back into the world at large! It provides a great overview that I could never get on my own.